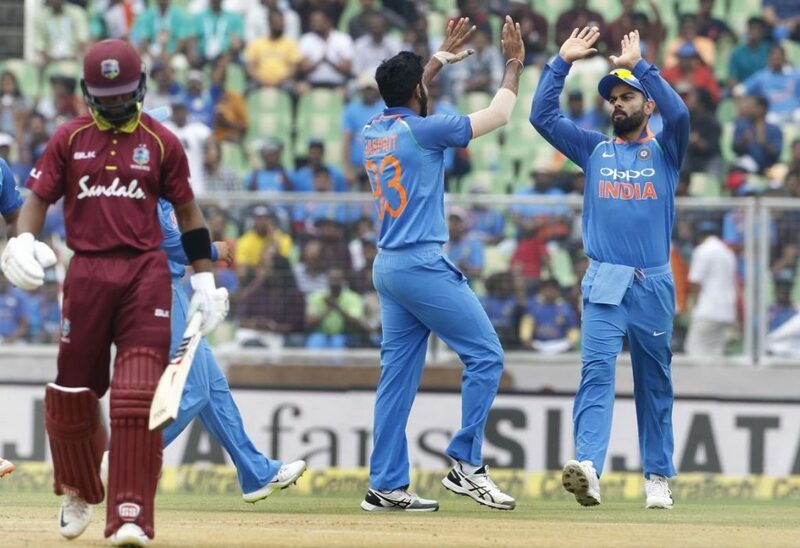 Indian bowlers wrapped up Windies innings for just 104 runs (31.5 overs) in the first innings of the fifth and final ODI of the series at Greenfield International Stadium (Thiruvananthapuram) on Thursday afternoon. After winning the toss, Windies captain Jason Holder decided to bat first but it proved a wrong decision. In the very first two overs, opener Kieran Powell and the no.3 wicketkeeper-batsman Shai Hope lost their respective wickets without opening their account as Windies went down to 2/2. Another opener Rovman Powell tried to settle the innings through a partnership with the next batsman Marlon Samuels but that ran for just 34 runs as Samuels was caught out at extra cover on 24 runs. It was their highest runs partnership in this innings. Only skipper Jason Holder (25), Marlon Samuels (24) and the Rovman Powell (16) were able to reach the double-digit marks in that massive batting failure. 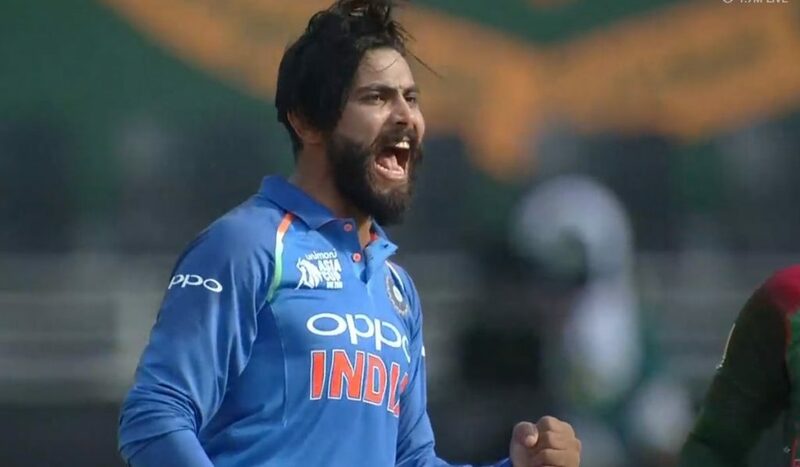 Among the Indian bowlers, the left-arm spinner Ravindra Jadeja scalped four wickets and finished with the bowling figure of 9.5-1-34-4. Also, the pacers Jasprit Bumrah (2/11) and Khaleel Ahmed (2/29) bagged two wickets each while Bhuvneshwar Kumar (1/11) and Kuldeep Yadav (1/18) grabbed one wicket each. At the end of the innings, Indian wicketkeeper MS Dhoni has made 425 ODI dismissals. Surpassing Mark Boucher’s 424 ODI dismissals record, Dhoni makes the third most ODI dismissals as a wicketkeeper. Windies was bundled out for just 104 runs (31.5 overs). It was their lowest completed ODI total against India. Their previous lowest completed ODI total against India was 121 (43.5 overs) at Port of Spain on April 27, 1997. Also, Windies’ total of 104 runs was the third lowest completed ODI total for any team against the hosts India. Indian left-arm spinner Ravindra Jadeja had a bowling figure of 9.5-1-34-4. It is the second best ODI bowling figure by an Indian bowler against Windies on the Indian soil. The record is 6.1-2-12-6 by Anil Kumble at Kolkata on November 27, 1993.
Who's said, Dhoni is not Fit. 4 wickets for Jadeja & almost fixing his wc spot in 2019. Twitterati Went Berserk After The Gayle Storm Over Jake Ball!